When many investors think of Dow Jones Industrial Average components, they picture old companies which produce everyday products. Although people may still buy their brands, these Dow stocks are thought to generate little excitement. That might have rightly described the Dow Jones stocks of past decades. However, even the allegedly stodgy Dow Jones has undergone change. Companies such as Alcoa (NYSE:AA) or Altria (NYSE:MO) have long since given way to the likes of Microsoft (NASDAQ:MSFT) and Nike (NYSE:NKE). While some older-line industrial companies remain, other Dow components lead the latest revolution in tech and will likely remain some of the best stocks available today. Some might view Chevron (NYSE:CVX) as a strange choice. Although oil prices have bounced off of the lows of late December, one cannot escape the fact that oil prices have fallen by about 35% from their early October highs. Given this challenge, investors can understand why CVX stock has flirted with bear market territory in recent days. However, Chevron operates in all segments of the industry. Hence, it can still turn profits from refining and retail sales even if oil prices do not rise quickly. Also, after falling into bear market territory around Christmas, CVX stock has staged an 11% recovery in just two weeks. Today, it trades at about 15% below its 52-week high. This forward price-to-earnings ratio of 14 seems typical for this stock. However, income-oriented investors should take an interest in the dividend. Chevron set this year’s payout at $4.48 per share. Also, the yield of about 4% comes in at around double the S&P 500 average payout. It has also increased this payout for 32 straight years, proving its stability in both booms and busts. Yes, the dividend coupled with a modest P/E ratio make CVX seem like a stereotypical Dow equity. However, for investors wanting a growing source of cash flow now and equity appreciation later, few choices will surpass CVX stock. 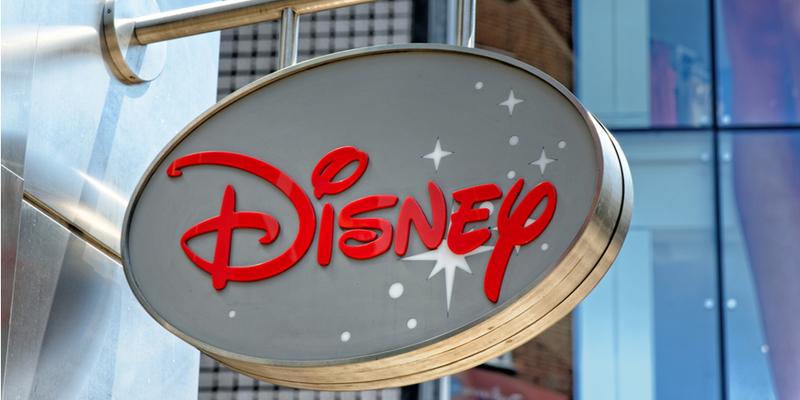 Disney (NYSE:DIS) suffered for years as cable cutting hurt profits coming from the Disney Channel and ESPN. Even though DIS stock began to feel the pain from that in 2015, the effects have lingered. Fortunately, that appears poised to turn around. Finally, the company has begun to address lost revenues from its declining cable television channels. Disney has gone all-in on streaming, having already launched ESPN+ and introducing Disney+ later this year. When Disney+ launches, it will take content, and likely a large portion of market share, from Netflix (NASDAQ:NFLX). Moreover, the latest report indicates growth in every division except Consumer Products and Interactive Media. The Studio Entertainment division earned a 157% increase in income. Profits from Parks & Resorts increased by 11%. Even the struggling Media Networks division increased by 4%. Also, the company further bolstered its top-rated content library by buying assets from Twenty-First Century Fox (NASDAQ:FOXA, NASDAQ:FOX). This should more than offset disappointments in the Lucasfilm division. DIS stock currently trades at about $111 per share. It has spent four years stuck in a range. However, with the catalysts brought by Disney+, ESPN+, and its ever-improving content library, DIS could become one of the better-performing Dow stocks in 2019. Like a few Dow Jones stocks, the year 2018 has become one Intel (NASDAQ:INTC) investors would like to forget. 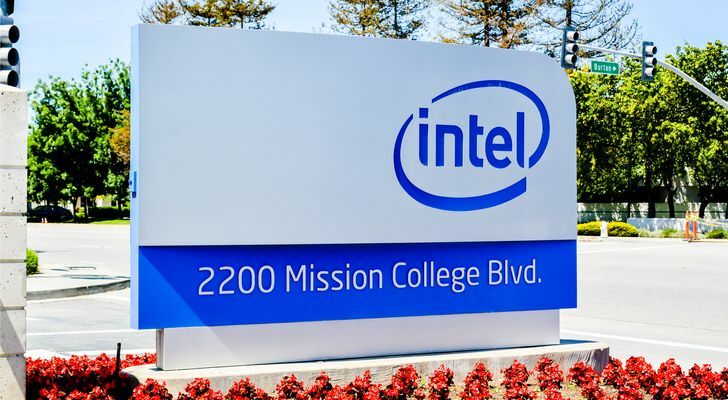 Security threats, a sudden CEO departure and competition from the likes of Nvidia (NASDAQ:NVDA) and Advanced Micro Devices (NASDAQ:AMD) weighed on Intel stock. However, despite these issues, it has also avoided some of the problems that have plagued their peers. Intel did not involve itself in the crypto industry. Moreover, since the slump in tech stocks began, INTC stock has fallen by less than 10%. Both NVDA and AMD lost half their value in the same period. To be sure, a glut of available chips has hurt the sector in general. However, the forward P/E of around 10 may explain why investors were unwilling to sell further. This creates a chance for an upward move as the industry works off the surplus in chips. Moreover, Intel has moved on from the PC era. The data center business will likely become larger than the PC business in the next few years. Also, the adoption of 5G wireless should bolster its Internet of Things (IoT) division and the automotive division it co-opted when it purchased Mobileye. As a result, analysts expect double-digit profit growth to return in 2019. Between the low multiple and these industry catalysts, Intel stock should finally see a long-awaited recovery. Many investors feel Pfizer (NYSE:PFE) has traded like other stereotypical Dow Jones stocks. It has struggled over the last few years as one-time blockbuster drugs faced expiring patents. However, the company has long maintained a robust pipeline. As a result, new drugs such as Eliquis and Ibrance have emerged to replace revenue lost from Lyrica and Viagra. This has helped to bring back investors to PFE stock. After failing to breach the mid-$30s-per-share range for years, Pfizer stock surged, reaching a peak of about $46 per share by the end of November. While it has fallen off since that time, it remains above the previous range. One factor that likely helped PFE is a reorganization announced during the summer. The company will create divisions centered around innovative medicines, established medicines and consumer healthcare. The company may also spin off the consumer healthcare division. Many credit that proposed spinoff with the higher stock price. Company financials may have helped as well. Its forward P/E of 14.1 comes in well below its average multiple in recent years of 22.2. 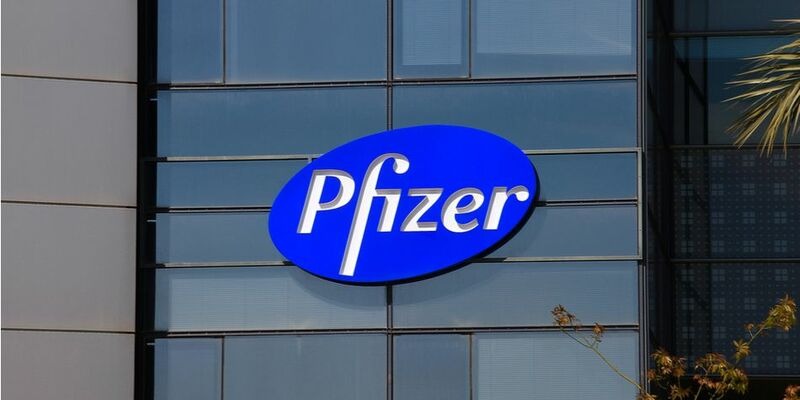 Pfizer also recently increased its annual dividend for 2019 to $1.44 per share. This takes the yield to almost 3.3% and will mark the ninth straight year of payout hikes. Hence, buying PFE stock at these levels offers a revitalized organization along with appealing valuations for new buyers. 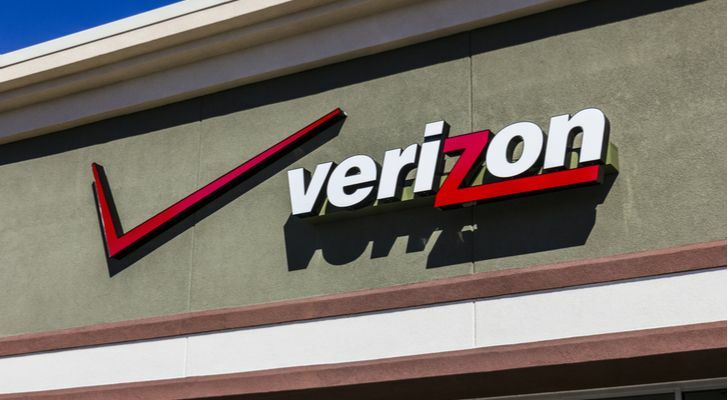 As the only major telco among Dow Jones stocks, Verizon (NYSE:VZ) finds itself in a unique position. VZ stock stagnated for the last five years as intense competition in its wireless business weighed on profit margins. To make things worse, competition forced Verizon to spend tens of billions of dollars on a 5G network buildout to remain a relevant player in wireless. However, that large, painful investment could finally pay off for VZ stock. Along with T-Mobile (NASDAQ:TMUS) and former Dow Jones stock AT&T (NYSE:T), it will likely emerge as one of the three companies to own a 5G network. This will drive the tech industry in the near term as autonomous cars, IoT and possibly many technologies not yet invented will depend on Verizon’s network. This could break VZ stock out of its range. Even after a recent sell-off, Verizon stock trades less than 10% below the all-time high set amid the tech bubble in 1999. However, with a forward P/E of around 12, it has reached this price at a more sustainable valuation. Also, its dividend of $2.41 per share yields around 4.2%. It has also risen every year since 2007. Between its generous, increasing payout and its importance to the tech industry, VZ stock looks poised among its Dow Jones stocks peers to return to a growth trajectory. As the newest of the Dow stocks, Walgreens (NASDAQ:WBA) suddenly finds itself struggling. Amazon (NASDAQ:AMZN) has entered this market, something that drew fear in other retail segments. Also, with archrival CVS (NYSE:CVS) purchasing Aetna, many will question whether Walgreens now operates at a disadvantage. WBA stock also saw a massive sell-off following the latest earnings report. While the company beat estimates and announced cost cuts, sales declines in the important U.K. market hurt the stock. However, Walgreens has countered the CVS threat by allying with Alphabet (NASDAQ:GOOGL, NASDAQ:GOOG) and Humana (NYSE:HUM). Also, in its U.S. market, it benefits from 10,000 people per day aging into Medicare and enrolling in drug plans. Its 9,600 or so drug stores across all 50 states position the company to benefit from this large population segment moving into Medicare. Moreover, the stock has traded in a range since 2014. As a result, its forward P/E has fallen to 10.1, well under half of the stock’s five-year average. Furthermore, it has taken the dividend yield to almost 2.5%. Fortunately, the recent financial woes pose no danger to WBA’s 42-year streak of dividend hikes. With the recent drop, many will avoid WBA stock. However, with its large market presence and low multiples, investors should consider viewing the decline as a sale on one of the sector’s best stocks and not a reason to panic. As its most direct peer, the case for Exxon Mobil (NYSE:XOM) mirrors that of Chevron in many respects. Like most oil and gas companies, it has seen its stock decline amid falling oil prices. The ongoing trade war, as well as fears of an economic slowdown, have taken XOM stock into a bear market. However, investors need to remember that XOM participates in all segments of the oil and gas industry. With oil just above $50 per barrel, exploration and production could slow. However, such declines have less effect on divisions involved in refining, chemicals or retail gasoline sales. Moreover, Exxon Mobil produces more natural gas than any other company. A burgeoning liquefied natural gas (LNG) export industry will bring more of Exxon’s natural gas to overseas markets. This benefits XOM not only with increased sales, but also with the much higher prices LNG commands in Europe and Asia. Further, few companies match Exxon Mobil regarding stability. Nothing speaks to that stability more than its dividend. Its payout of $3.28 per share yields about 4.75%. Also, the 35-year history of dividend hikes, even in times of rock-bottom oil prices, speaks to its resilience. Such a generous, increasing payout along with its robust business lines makes XOM stock a bargain at 13.9 forward P/E. Due to these factors, it holds its place as one of the more attractive Dow Jones stocks despite falling oil prices. 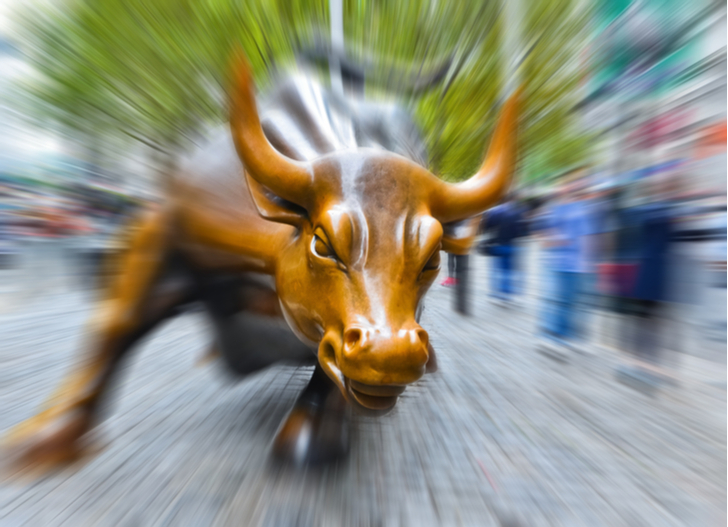 Article printed from InvestorPlace Media, https://investorplace.com/2019/01/7-dow-stocks-higher-excite-investors/.